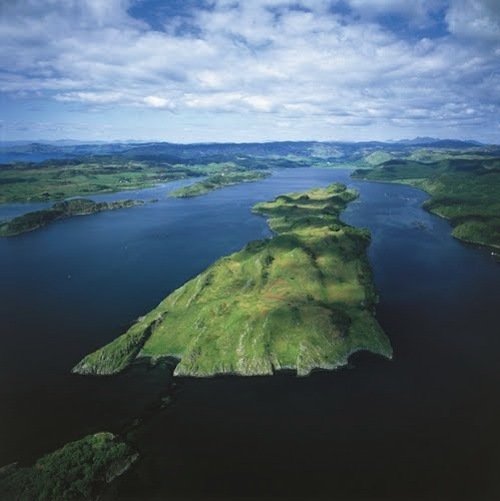 Contest #257 answer: Eilean Righ, Inner Hebrides, Scotland – Where On Google Earth? Eilean Righ is Gaelic for ‘King’s Island’. It was once owned by Sir Reginald Johnston, tutor to Pu Yi (yes, the one from the movie ‘The Last Emperor‘), who built two Buddhist temples on the island. And now it is up for sale. So you can own it, that is if you have > £ 3,000,000.- to spend, of course.